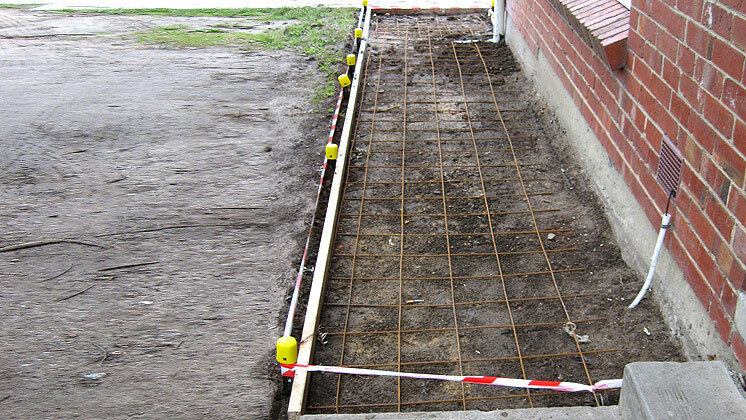 To find out how much concrete is needed to pour the footpath in this photo you need to know how to calculate the volume of a rectangular prisim. Do you know how to calculate the volume of rectangular prisms? Calculate the volume of this rectangular prism. Select this link for a hint. Type in your answer and select submit for feedback. Calculate the volume of this rectangular prism (measurements in millimetres). Before doing calculations convert millimetres to metres. To calculate the volume of this shape you can break it into two rectangular prisms (RP1 and RP2). Select this link to see RP1 and RP2. Calculate the volume of this object. This is the end of the section on Rectangular prisms. 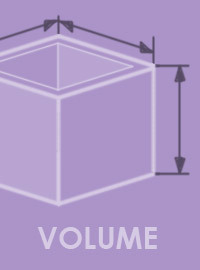 calculate the volume of each prism, then add the volumes together. You can review this section or choose another from the left hand menu.